Have a youngster who wants to drive his own vehicle? Then the Fisher Price Power Wheels are made for you. "Beep beep! Out of my way! We are late"
This is the sound of my girls learning all about road rage right from the fount of all knowledge - their mother! Every time we pull up outside the house, the girls wait for me to leave the car and then their driving adventure begins. Of course, the next time I start up the car, all the lights are on, the indicator is flashing, the window wipers are going at full blast and as I drive a manual, the car jumps forward and stalls - I really should check the gears as I was taught when having driving lessons. It was time to get one of the Fisher Price Power Wheels. 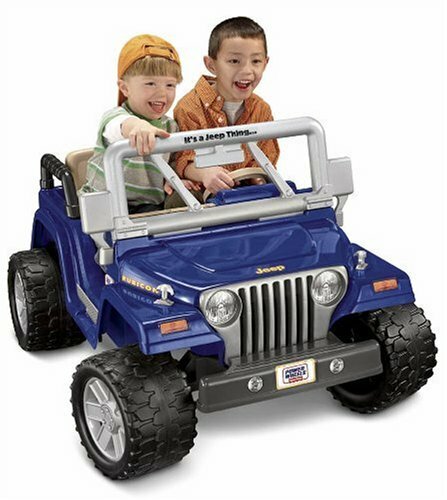 The Power Wheels Jeep Hurricane is like a real jeep except a bit smaller and can only sit two little children, which is definitely preferable to the one seaters. It is massively rugged and will make children feel like they are driving the real deal. It has cool dash lights and tells the children which way they are turning. There is room for a spare battery as you may need it if your children use the jeep for a long time and you are away from home. There were some issues with steering and such in the earlier blue models but the greens and the Dark Gray models seem to be running a lot smoother. It is on the heavy side so be careful about where you run out of battery. It reverses, it goes forward. 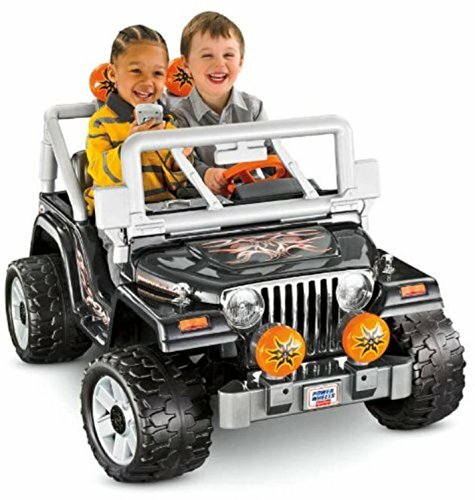 The Power Wheels Jeep Hurricane has two speeds - 2.5mph and 5mph and a power lock brake system to help keep the children safe. The jeep Hurricane comes with a radio as well though this will need separate batteries to get it working. For some reason, at the time of writing the Amazon price was pretty steep at over $900 so Ebay seemed more practical. This is a girl's dream car, no doubt about it. It is the same as the one above apart from its inablity to drive smoothly in rough terrain as it does not have the maximum traction. You can however obtain traction belts to place on the tyres to help them hold on to the road surface whatever it may be. Other things it has to aid in driving pleasure is a pretend radio with pre-programmed tunes built in. Space for two little children to sit and enjoy a ride around the backyard, park or anywhere you and they like. Actually working doors so they can get in and out of the jeep in style. It is easy to assemble though it may take up to two hours to complete. However, it provides hours of entertainment for your little Barbie fans. 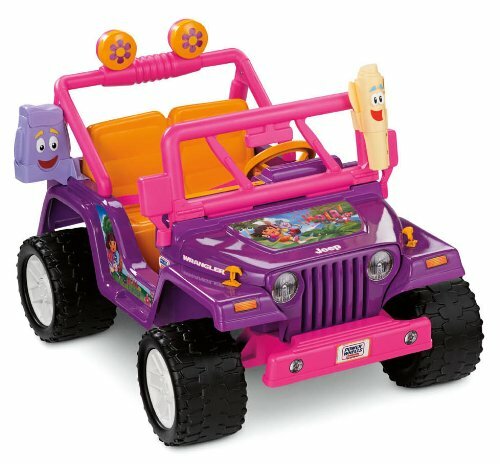 There is some storage space at the rear of the Jamming Jeep which can be used to carry your little one's stuff. This one can be obtained from Amazon. Another one for the girls. Do you have a Dora the Explorer fan like I do? Then they will be forever grateful to receive this on a birthday or for Christmas. Well, they should be forever grateful but the chances are they will be too busy playing with the Power Wheels Jeep that they just might forget you for a while. Like the above two, a child from about the age of 2.5 up until they are around 6 (this really depends on height) will have great fun in this jeep. As it is about Dora the Explorer, there is a map and backpack. The map does not open though which is a pity but the backpack does. 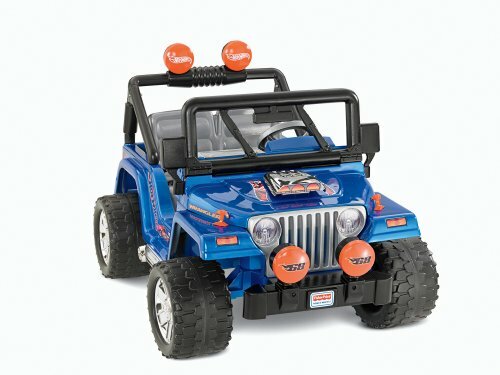 As with the rest, it comes in two speeds - 2.5mph and 5mph - so you can take a walk with your children in the jeep and potentially get a good bit of exercise if they are using the higher speed. There is a lock out brake so beginning riders will not go above whatever of the two speeds you set. Again putting the jeep together is not too hard, the only thing that lets it down a little is having to place all the stickers in the right place. This jeep can also be obtained from Amazon. 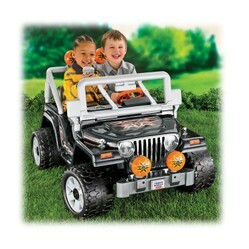 There are other Power Wheels Jeeps available with varying designs on the body of the Jeep Wrangler. All of these come with the ability to drive backwards and forwards, the lock out feature so children are unable to travel too quickly, a power lock brake and more. 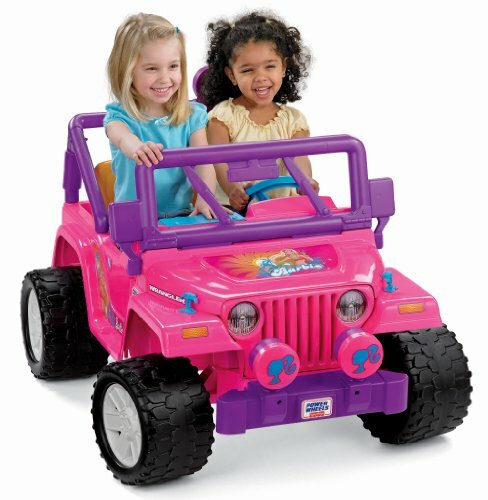 The Fisher Price Power Wheel Jeeps are really something and a great gift for the grandchildren or children. Oh what fun, my kids have always loved the out side toys, and this is one way to get them out of doors and enjoying the magic of childhood. love it, great article. My son has one of these and tears up the neighborhood with it. It is a really fun toy for a kid.. Wish they had these when I was growing up.